TOP 1% OF EPDS, 2015 - 2018!!! Kilki has big brown eyes and a lovely face set in a beautiful head. 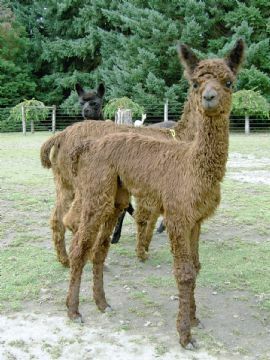 She is a small female loaded with dense fleece. 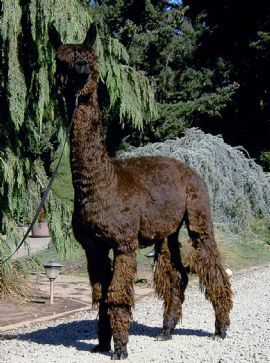 She is a 1998 Peruvian Import with a the ability to provide new genetics. A great mother and excellent milker. 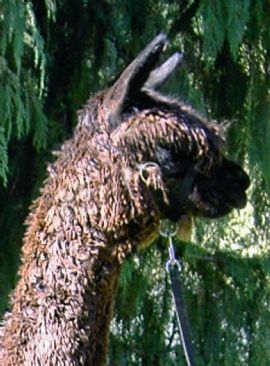 Hugo is sired by the famous HHSSF Peruvian Accoyo Hershey who has thrown many outstanding show winning offspring! He has correct conformation covered with very high luster and extremely fine dark brown locks that are dense and his coverage is complete. 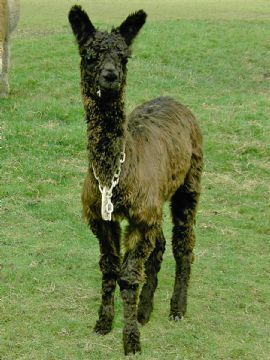 It is apparent from the current '06 pictures that are posted that his lock are forming beautifully within a short period of shearing. Hugo definitely has that special Elite Sire Attitude and it shows in his outstanding presence though his temperament is the standard gentle and easygoing nature of all ATV Studs! Briani of ATV - Sale Pending! High Luster Chocolate - Ready to Breed! Tiramisu of ATV - SOLD!